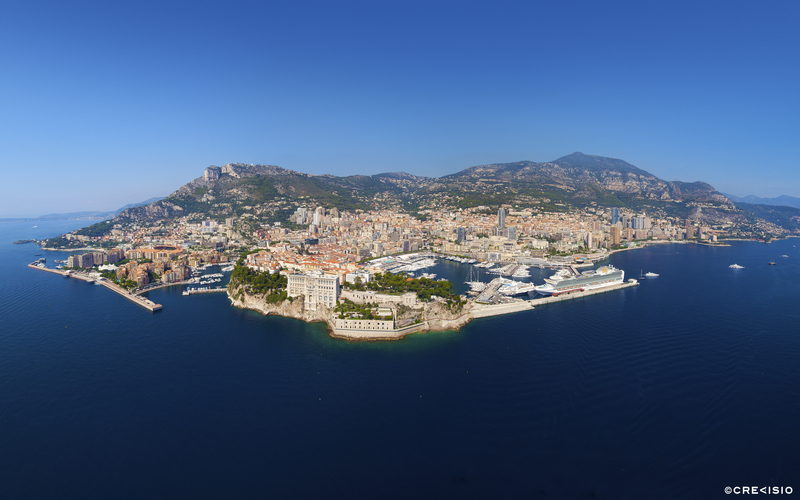 Birds-eye panorama over the Principality if Monaco. This photograph was taken from a helicopter, and spans across the entire Principality from East to West. This high resolution photograph has a full resolution of 39 megapixel (7,824 x 4,933 pixels, at 300 dpi). Download the high resolution wallpaper for personal use (scaled to 5,120 x 3,200 pixel) by clicking on the image above or by following the download links below. For commercial use, please contact Crevisio.